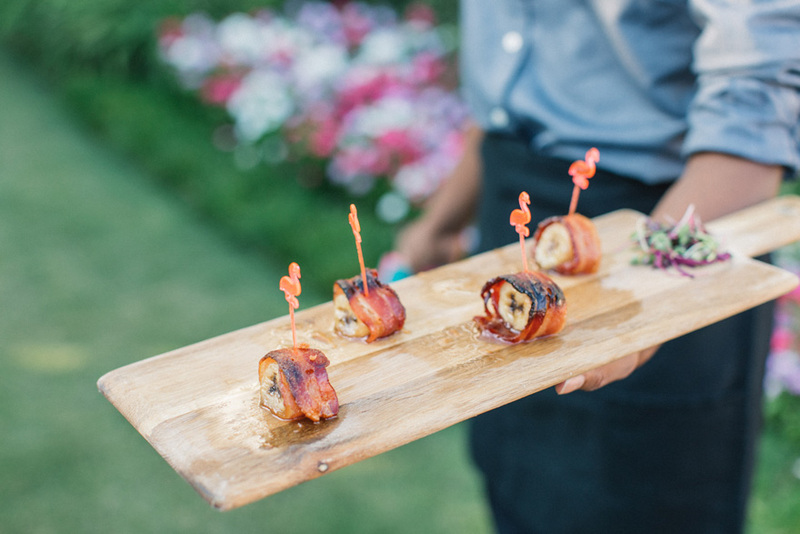 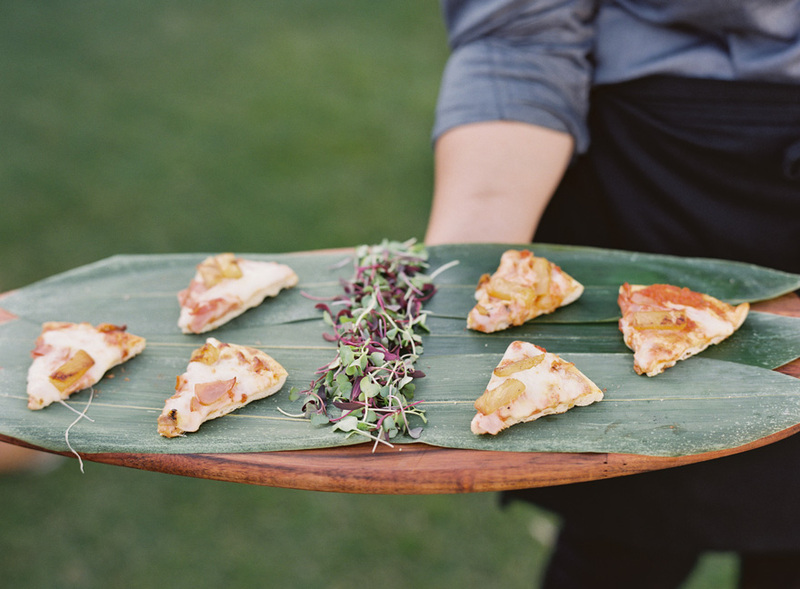 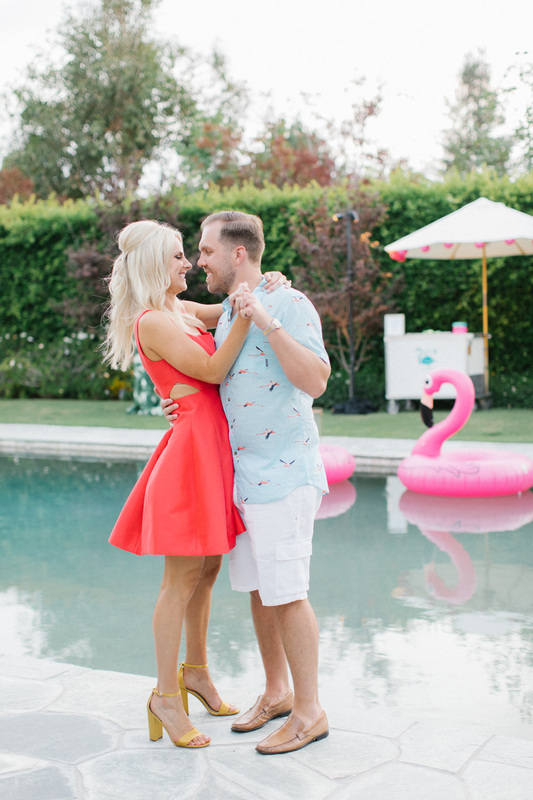 It may be fall, but we are still reminiscing about summer engagement parties. 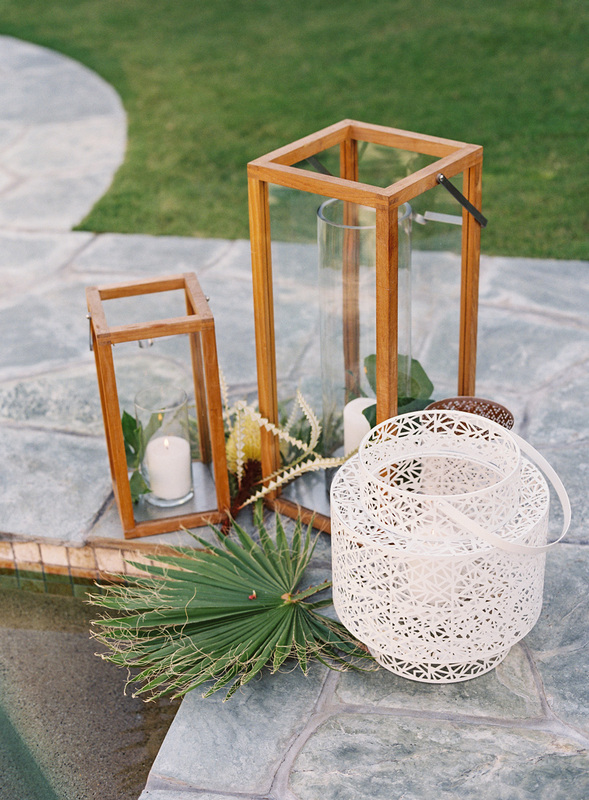 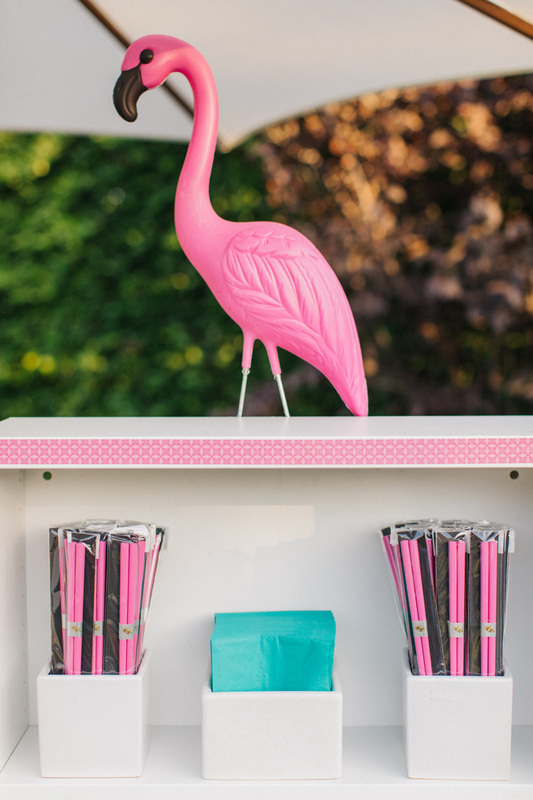 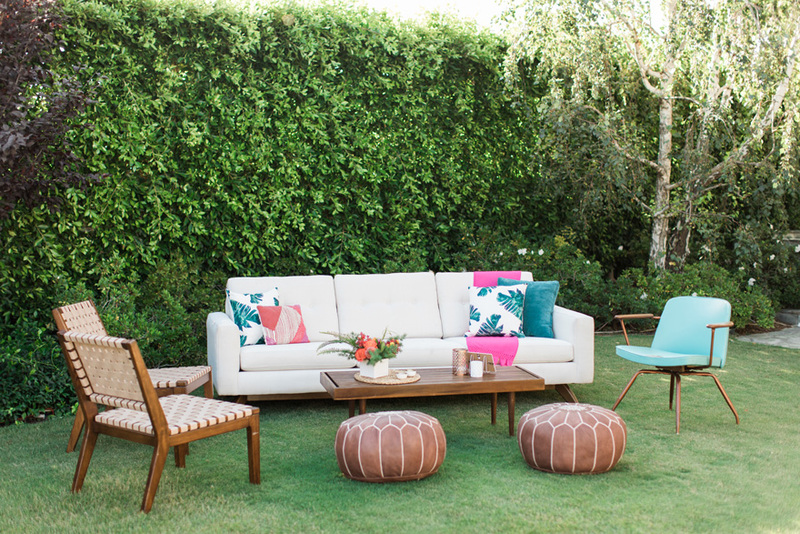 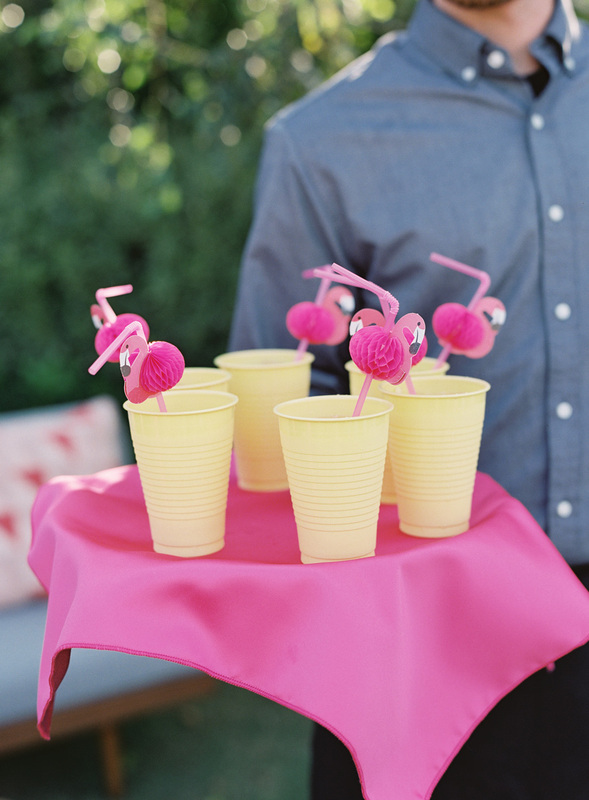 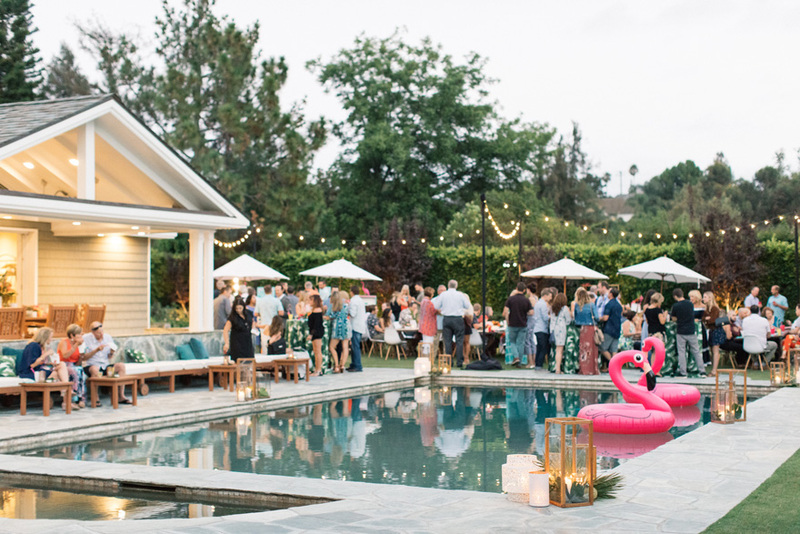 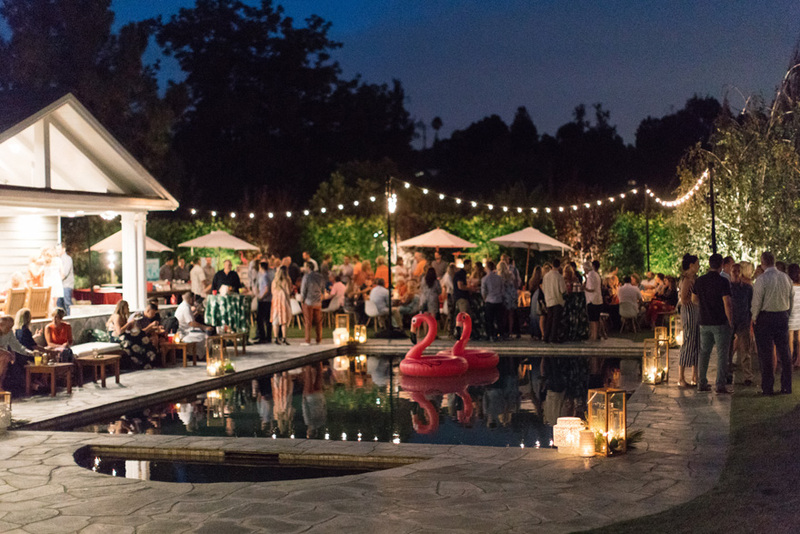 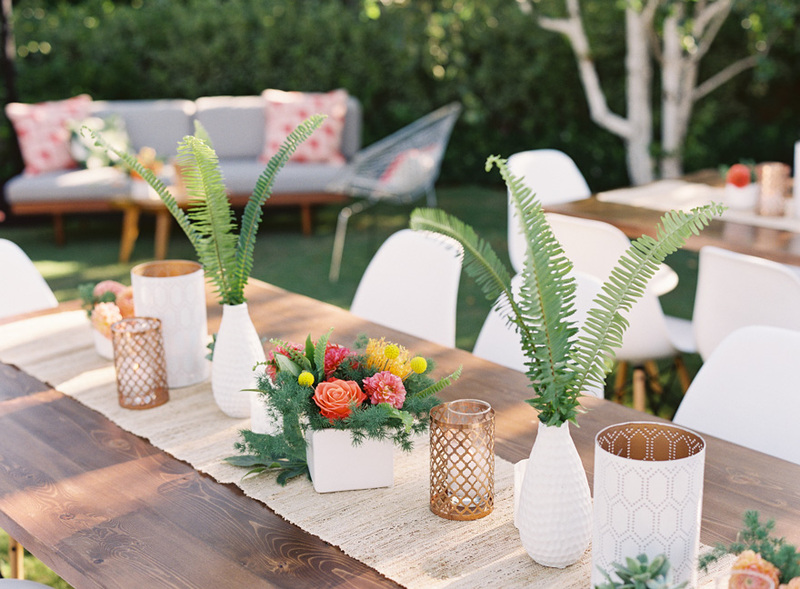 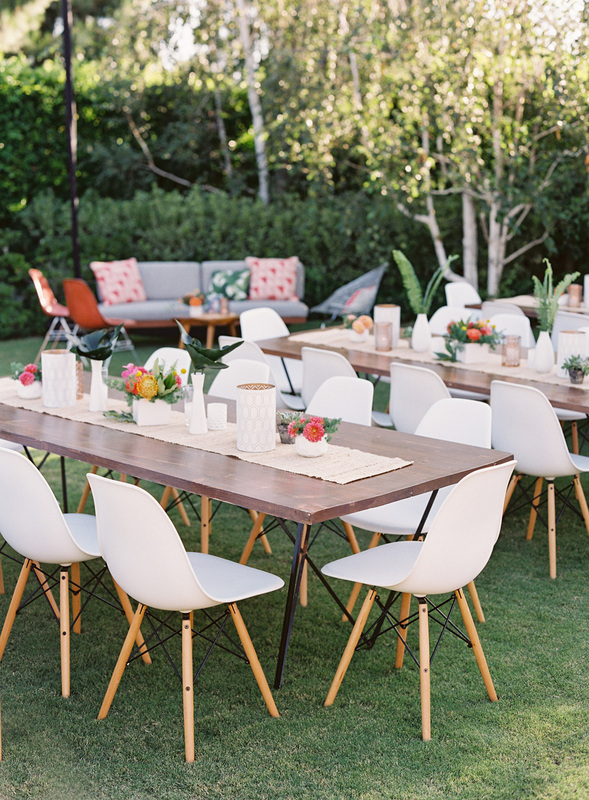 This is one of our all-time favorites, Chelsea and Ray’s Palm Springs themed party, right here in Orange County! 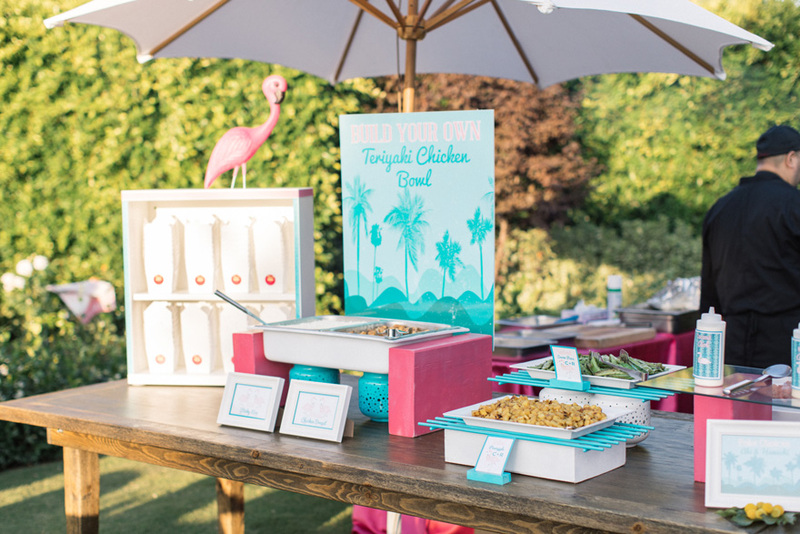 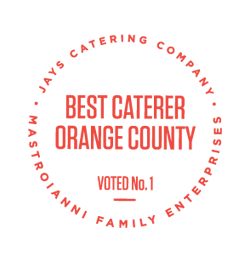 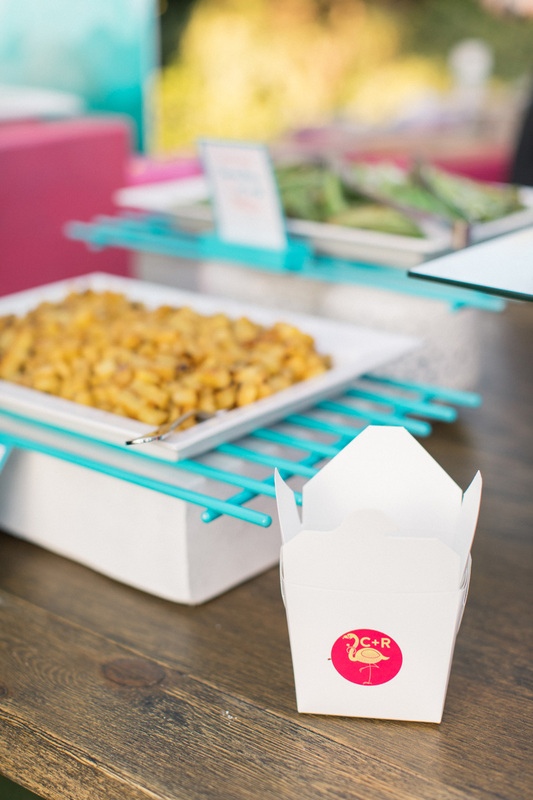 The pros at Intertwined Events put together the design, and we brought the food and drinks! 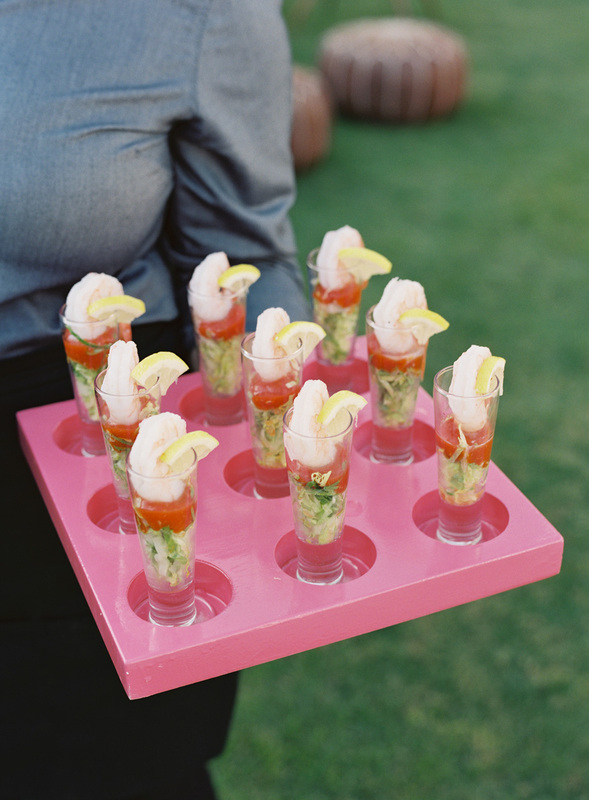 The night started with Shrimp Cocktail Shooters, Mini Hawaiian Pizzas, and Greyhounds (vodka + grapefruit) at the bar to keep cool in the summer heat. 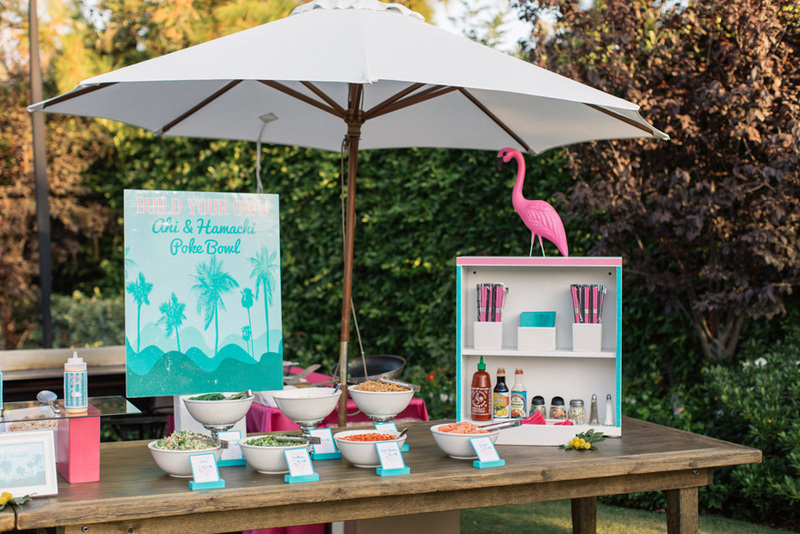 For the main course, Chelsea and Ray featured our Poke Station. 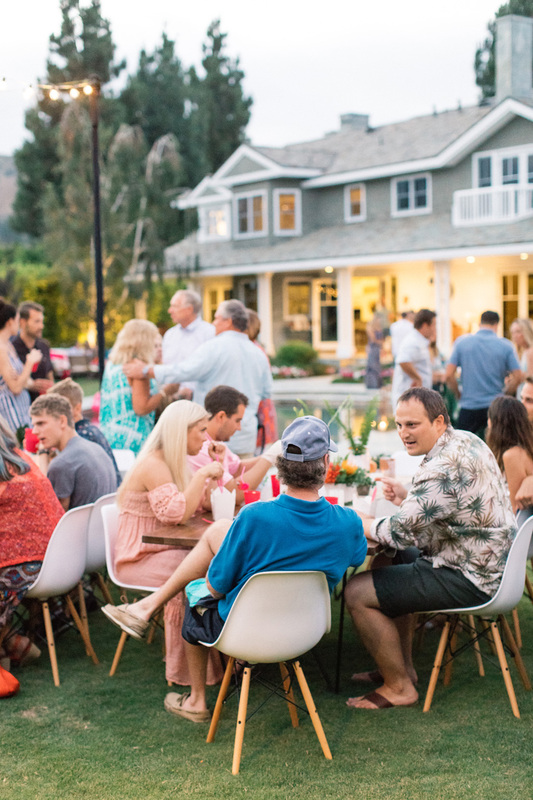 Guests made their own poke bowl with Ahi, Hamachi, and Teriyaki Chicken with a wide variety of toppings!